At the height of the great recession, Kevin Selvy had a hundred-page business plan and started Crazy Mountain Brewing Company in Edwards, Colorado with $500,000. He calls it an irresponsible amount of money and estimates that nobody should do it with less than $1.5 million. Nonetheless, he met his 3-year sales estimates within 3 months. After 5 years, their beer is distributed to 18 states and Europe, and they just entered the California markets. Kevin sent his business plan to more people than he could count. He drove 10 hours and slept in the back seat of his car to meet with a potential investor. Although Kevin’s business plan was about 100 pages, lots of it was graphs and financial tables. Size and quantity of fermentation tanks: 23 tanks, 20-BBL, 40-BBL, and 60-BBL. Size and quantity of bright tanks: 1, 40-BBL; 1, 20-BBL; and 1, 60-BBL bright tank. Annual brewing capacity/last year’s production: 17,000 BBL brewed in 2013. 20,000-BBL capacity. Square footage: 10,314 sq. ft.
Years in operation: 5 years (opened 2010). From Kevin Scott: Can you talk about the pros and cons of contracting for raw materials for your beers (i.e, hops, malts, etc.)? General Solicitation Ban Lifted Today – Three Things You Must Know About It, Tanya Prive, Forbes, September 23, 2013. What Small Companies Need to now About Soliciting Investments, Javier Espinoza, Wall Street Journal, September 20, 2013.
Business Plan Pro, Palo Alto Software, in Amazon. 115: Crazy Mountain – All About Startups, Craft Conscious. Tim Mather was just getting into craft beer when he and a friend created the highly-popular mobile app for beer drinkers, Untappd, based in Los Angles, California. Tim and his partner, Greg Avola both work full-time jobs during the day. Yet they keep Untappd going in their spare time. With over 2 million users who “check in” beers that they drink, Untappd is a unique, highly-targeted way to market your beer. It is extremely important to take criticism well. Remember, as Tim says, “Your comments are representative of your brand.” So don’t be a jerk, do be professional at all times, and remember that people have different tastes. It’s okay if someone doesn’t like your beer. Ask the person some questions to get to know her tastes a little better, then think of a different beer to recommend. Social media is all about relationships. Build relationships to sell more beer and make new friends. Untappd is run by just 2 people who both have full-time jobs during the day. Yet they work tirelessly to bring us this great app called Untappd. Become an Untappd Supporter to keep it going, say thanks, and help make the app better. 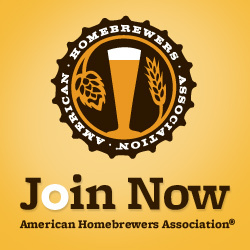 Click here to become an Untappd Supporter now. From Mike B.: Was it worth it? Get Sh*t Done by Lauris Liberts. How Craft Brewers Can Make The Most of Untappd, Pat Strader, Digital Relativity, February 5, 2013. Green Flash Brewing Company on Instagram. Widmer Brothers Brewing on Instagram. OKCupid data reveal common dating truths (and lies), Katie Kramer, CNBC, September 14, 2014. Allan Wolfe is a beer writer who started UnEarthed Creative in Chicago, Illinois. His online marketing firm helps small businesses in the new world of online marketing. 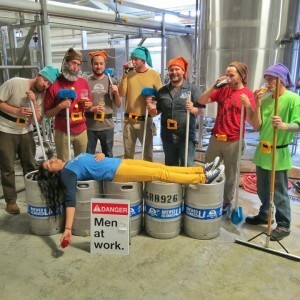 They specialize in marketing for small breweries. “If you’ve got the best beer, but nobody knows it exists, what’s the point?” says Allan. As competition among breweries increases, it’s more important to have a meaningful web presence. Allan says the first thing to consider when you make a website is to use an easy platform that a lot of developers and content management specialists are familiar with, such as WordPress. Next you need to create helpful, useful content. And make a website that uses a “responsive,” mobile compatible design. From TastingNitch on Twitter: What is your preferred beer drinking vessel and why? The New Rules of Marketing & PR: How to Use Social Media, Online Video, Mobile Applications, Blogs, News Releases, and Viral Marketing to Reach Buyers Directly by David Meerman Scott. The Science Behind Beer Foam, Allan Wolfe, CraftBeer. Jester King Brewery, Austin, Texas. Odin Brewing Company, Tukwila, Washington. Google PageSpeed, tools to optimize the performance of your website. Google Analytics, web traffic analytics service. Google Webmaster Tools, data, tools, and diagnostics for a healthy Google-friendly site. SEO Site Checkup, search engine optimization (SEO) tools for your website. 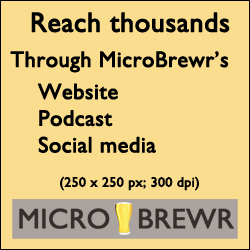 MicroBrewr 003: The Power of A Story w/ Adelbert’s Brewery, MicroBrewr, March 10, 2014. Podcasting is exploding. Even breweries are using podcasts to share their story or as part of their marketing plan. John Lee Dumas, founder and host of Entrepreneur On Fire, in San Diego, California is the expert on podcasting and starting a podcast. He sheds light on using a podcast for a brewery. Podcasting can be a great way to gain access to experts in your field. People who wouldn’t normally have time to set aside and give you their tips, are more willing to do it to gain exposure through your podcast. Podcasting is also a great way to increase online sales. Podcasts are accessible to anyone around the world who has internet access. If you hire dedicated staff or contract with someone to produce your brewery’s podcast, you can sell advertisements to offset the cost. Just make sure the advertisements are relevant and useful to your listeners. “Whenever you’re offering your listeners value and you’re doing it in a classy and genuine way, it’s a good thing,” says John. The podcast demographic is growing rapidly. And the podcast audience overlaps the craft beer audience considerably. According to John, the current podcast demographic is mostly 24- to 38-year-olds. “You’re definitely starting to see the age range increase,” says John. The most important thing for starting a podcast also applies to your brewery as a whole. John Lee Dumas wrote the book on podcasting—literally. And he’s giving away free copies to the MicroBrewr audience. Be sure to connect with Entrepreneur On Fire and thank John Lee Dumas for being on the show and for giving us his book. The Ultimate Guide to Podcasting, Entrepreneur On Fire. Free Podcast Course, Entrepreneur On Fire. The Webinar Course, Entrepreneur On Fire. Baxter Brewing Co., Auburn, Maine.